We’ve seen thatgamecompany put out some of the most astoundingly beautiful games of the past decade, but those titles have been exclusive to Sony platforms. Until now, anyway. Their next game, Sky, will be launching only on iPhone, iPad, and Apple TV. While you lament Sky not being on your platform of choice just yet, check out the best indie games on PC. That knowledge comes as more than a bit of a disappointment, but there is a bit of silver lining to the clouds you’ll be running across. 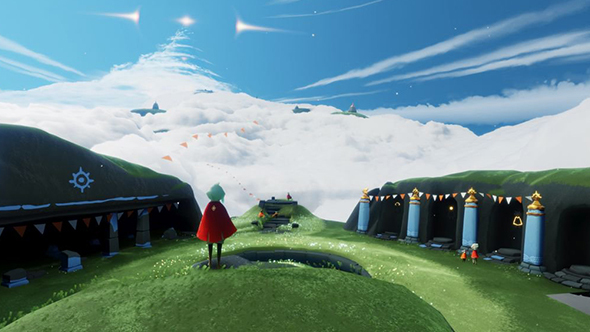 The folks at thatgamecompany have confirmed that Sky’s exclusivity is timed, so at some point it will be coming to other platforms. With the Sony deal a thing of the past, we certainly hope that means a PC release is on the way. What exactly is Sky? Your guess is as good as mine, but it looks to build on the tone and abstract sense of adventure seen in Journey, while also building on its experimental social features. The closest we’ve seen to a thatgamecompany release on PC (aside from the limited availability of Flow) is Abzu, an undersea adventure made by former staffers that released last year. It’s rare for PC to lack an indie release that’s available on console, and hopefully we won’t be staring longingly at Sky for much longer.